Nettalk Voice Connecting the World! No more manual dialing or wasted time listening to answering machines. Increase your sales productivity. 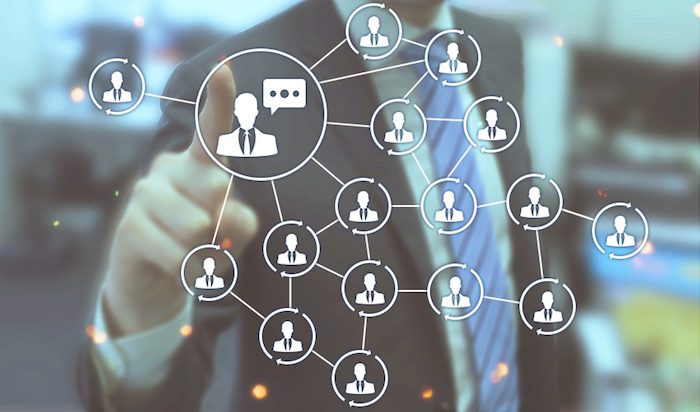 Promote your product or service to thousands of your list of sales leads or clients, overseers or locally. Have them listen to your pre-recorder IVR message and then Press 1 to speak to your agent. If no one picks up, then your second message containing your opening hours and contact nformation is left on their voicemail, all done automatically. *Auto Dial Topup Fee - ($28.00 Wire Fee) + 0.005 (25%) fee on each minute. Press 1 for Sales, Press 2 for Marketing, Press 3 for Billing. The auto attendant brings several key features together to provide you with the peace of mind to know that your business always appears professional. 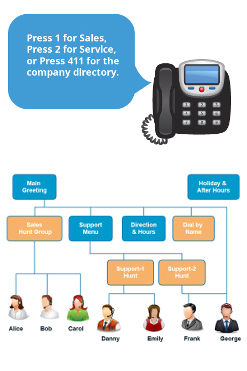 Inbound calls are automatically answered and greeted with customized menu options. Callers select the correct option and are automatically routed to the correct extension. 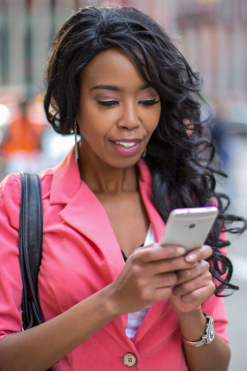 With our Text2Speech IVR you no longer have to record your messages and then upload it. Just simple type your message and have the typed mesage read by any male or female voice options. You can also choose from different languages and accents. Even if your business is small, you can create the appearance of a large company with multiple departments. Simply create extensions that route to a single location. Includes all the same countries listed in the residential plan, except the plan is sold as such when used in a small business enviroment. (35) EUROPEAN Countries Andorra, Austria, Bulgaria, Cyprus, Cyprus-Mobile, Czech Republic, Denmark, Estonia, Finland, France, Germany, Gibraltar, Greece, Hungary, Iceland, Ireland, Italy, Kazakhstan-Almaty, Latvia, Liechtenstein, Luxembourg, Macedonia, Malta, Netherlands, Norway, Poland, Portugal, Romania, Russian Federation, San Marino, Slovakia, Slovenia, Spain, Sweden, Switzerland, United Kingdom. (11) CARIBBEAN Countries Bahamas, Anguilla, Barbados, Bermuda, Cayman Island, Dominica Republic, Grenada, Guadeloupe, Jamaica, Martinique, Puerto Rico, US Virgin Island. There are actually 12 Caribbean countries listed above, however only 11 countries make up the calling plan. One is only a substitute country (Example): If you live in Jamaica and purchase this plan, Jamaica will be removed from the list. If you live in Barbados and buy this plan Barbados will be removed and Jamaica remains. (5) MIDDLE EAST Brunei, Israel, Jordon, Saudi Arabia-Riyada, Saudi Arabia-Geddah, Saudi Arabia-Mecca, Turkey-Ankara, Turkey-Antalya, Turkey-Istanbul, Turkey-Izmir. The Grandstream HandyTone 502 is the next generation of powerful, affordable, high quality and manageable IP telephony ATA/IAD for residential users and road-warriors. The HT502 is based on SIP standard and interoperable with most 3rd party SIP compliant devices and software. The GXP1200 is a very affordable 2-line entry-level SIP phone that delivers excellent sound quality and advanced feature set. Delivers excellent sound quality and advanced feature set. 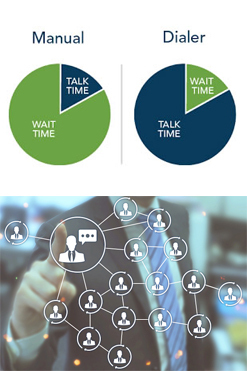 The GXP1200 supports traditional telephony features such as caller id, call waiting, mute, park, hold, transfer and voicemail as well as advanced enterprise features such as 2 independent SIP accounts, multi-language support, 3-way conferencing, and custom ring-tones for distinctive call handling. Feature rich, easy to use, supports integrated power-over-Ethernet and is competitively priced. Expandable, secure and easy to manage, the GXP2000 offers superior audio quality, 4 individual SIP accounts, 7 programmable keys, visual message indicator, full duplex hands-free speakerphone, dual 10M/100Mbps Ethernet ports, intuitive user interfaces, large back-lit graphical LCD display with support for multiple languages, security and privacy protection, screen content customization using XML, automated phone book synchronization with directory server using XML, as well as broad interoperability with most 3rd party SIP products. The GXP2000 is an ideal IP phone for both the small business and the enterprise customer. 4 lines, 18 programmable keys, 3 dynamic context-sensitive XML soft keys, dual switched 10M/100Mbps auto-sensing Ethernet ports with integrated PoE, and a large high-resolution backlit LCD display. Executive 6-line IP Phone offers powerful features, 4 XML programmable soft keys, 13 call appearances, integrated PoE, and a new sophisticated design. The GXP2020 Enterprise SIP phone's new design and enhanced features address the need for an elegant IP handset solution for the executive office at a highly competitive price. The GXP2020 provides excellent voice clarity, a comprehensive set of advanced call features, multi-language support, security protection, automated provisioning, and broad compatibility with leading SIP platforms. The GXP2020 features 6 lines, 7 programmable keys, 4 dynamic context-sensitive soft keys, dual switched 10M/100Mbps auto-sensing Ethernet ports with integrated PoE, a backlit 320x160 high resolution graphic LCD with multi-level grey scales, SRTP and TLS (pending) for privacy protection, as well as secure and automated provisioning for mass deployment. The GXP2020 is the second phone in the GXP Enterprise SIP Phone portfolio. It is ideal for both the executive office and advanced enterprise users. 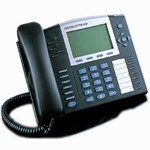 Grandstream IP video phone based on the SIP and H.264 standards. The GXV3000 IP video phone is an easy and affordable way of communicating face-to-face over any distance. It is ideal for any multi-media communication environment, the virtual office and all IP video communications for business or residential users. FREE Web Based Feature Management. Direct IP Calling. Dial "*47" + "IP address". No dial tone is played in the middle. Detail see Direct IP Calling section on page 12. Alerts the user of an incomming call while participating in another call, and allows the user to switch back and forth. 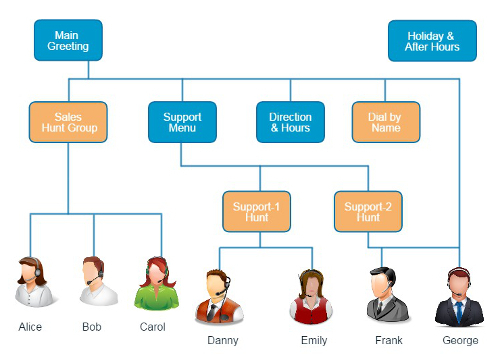 This is most common on a single line telephone in residential or small business settings, as a multi-line phone system provides the same functionality and more. 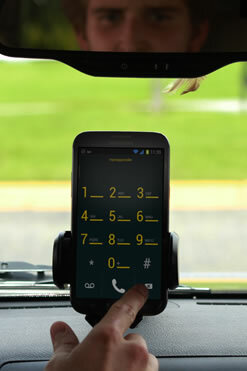 When the phone is being used and a second call comes in, the user hears a beep alerting them to the new call. The user can ignore the call, or switch over to it. In most cases, the user would hit the Flash button, or very quickly press and release the on-hook switch. This will switch to the new call, leaving the original caller on hold. The user can now use the same method to switch back and forth between the two calls. If the currently connected conversation is complete, and the user hangs up, the phone will ring to signal the user that the other caller is still waiting. When the phone is picked up, it will be connected to the remaining conversation. Depending upon the equipment and service being used, Caller ID may work as well. In this case, the caller hears the beep signaling the second incoming call, and the name and/or number is displayed on a caller ID interface. *67 Block Caller ID (per call). Dial "*67" + " number ". No dial tone is played in the middle. *82 Send Caller ID (per call). Dial "*82" + " number ". No dial tone is played in the middle. *69 Call Return Service: Dial *69 and the phone will dial the last incoming phone number received. *70 Disable Call Waiting (per call). Dial "*70" + " number ". No dial tone is played in the middle. *71 Enable Call Waiting (per call). Dial "*71" + " number ". No dial tone is played in the middle. *73 Cancel Unconditional Call Forward. To cancel "Unconditional Call Forward", dial "*73", wait for dial tone, then hang up. *74 Enable Paging Call: Dial "*74" and then the destination phone number you want to page. *78 Enable Do Not Disturb (DND): When enabled all incoming calls are rejected. *79 Disable Do Not Disturb (DND): When disabled, incoming calls are accepted. *90 Busy Call Forward: Dial "*90" and then the forwarding number followed by "#". Wait for dial tone then hang up. *91 Cancel Busy Call Forward. To cancel "Busy Call Forward", dial "*91", wait for dial tone, then hang up. *92 Delayed Call Forward. Dial "*92" and then the forwarding number followed by "#". Wait for dial tone then hang up. *93 Cancel Delayed Call Forward. To cancel Delayed Call Forward, dial "*93", wait for dial tone, then hang up. # Pressing pound sign will serve as Re-Dial key. Free 3-way Calling With Nettalk Voice 3 Way Calling you communicate the way you want when you want. It's free with every Nettalk Voice account and easy to use. Setting up a 3 Way Call couldn't be easier. Dial your first party normally. Then just press the Flash Button or Switch Hook on your phone and dial the second party. Press Flash or Switch Hook again, and you're all connected. It's as simple as that! Nettalk Voice lets you connect 3 parties anywhere on Earth. Dial Newark, Nairobi, or next door. Nettalk Voice connects you all with ease. 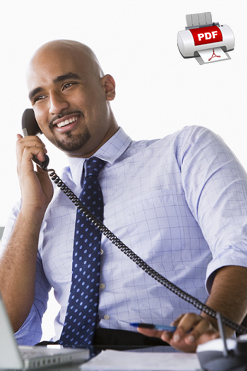 For billing purposes, we treat a 3 Way Call as two separate calls that happen at the same time. So let's say you call a friend in Connecticut, then dial in a pal in Florida. Because your calls are , this 3 Way Call costs you nothing extra. The same is true for pals in Canada. What if your pals are in London? Any call outside of the US or Canada is billed incrementally based on that area's rate. In this case you would still be responsible for paying the calls charges to London, but there would be no extra fees for making the 3 Way Call. Like any other calls you make with Nettalk Voice, you can always review your dialing records online in your web account. Each call will show up separately and the number of minutes used to each party will display in a separate row. So you'll always be in control, 24 hours a day, 365 days a year. Free Repeat Dialing When a number is busy, the repeat dial feature, when activated, will continue to redial until the call is completed. To activate repeat dial, dial 5 and hang up when you get a beep tone signal. 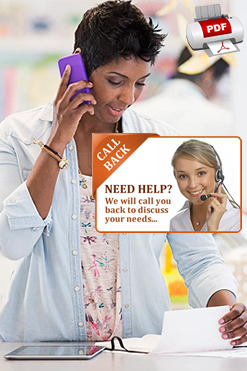 Nettalk Voice will ring you back when the number you are calling is available. You may continue to make other calls in the interim. Toggles between active call and incoming call (call waiting tone). If not in conversation, flash/hook will switch to a new channel for a new call. Enter code from above picture here. Please pay attention to the amount of free incoming minutes included into the phone number monthly price. Some blocks of numbers include 2000-3000 free incoming minutes per month, but some does not. If you are looking for a Toll free, US or Canadian number in a particular rate center and the number is not shown in the list, contact us to check the numbers availability with our other offline carriers. Sorry, the DID selection service is currently unavailable because of uplink error, please come back and try again later or contact us about available DIDs (include country and area codes to you request). Click for answers some of your more frequently asked questions and solutions to technical issues. This document is an agreement between a Customer and Nettalk Voice, Inc. for communications and related services .